When it comes to being host to a plethora of heritage sites in India, no other place does it better than Delhi. Especially in Old Delhi, there are innumerable places which shout ‘heritage’ like nothing else. After all, a city which has been inhabited for millennia is expected to offer a lot in terms of historical places. There is no better way to seep in the heritage than to take a walk through these spots. Discussed below are the places that a heritage walk in Old Delhi should definitely include. One of the best things to see in Old Delhi is the Qutub Minar. Originally commissioned by the founder of the Delhi Sultanate, Qutabuddin Aibak, the tower was completed by his son-in-law Iltutmish in the year 1220. The Qutab Minar is the tallest tower in the world that is completely made from bricks. No heritage walk of Old Delhi can be considered complete unless this place is included in it. When a fort is named as the ‘Old Fort’, you can easily understand the heritage that is associated with it. Just a glance at it even today gives you a feeling of pomp and grandeur, and you will simply love the atmosphere that you are going to find inside the fort. Said to have been built by the Pandavas as part of their Indraprastha, additions were made by later rulers like Sher Shah and Humayun until the capital was shifted elsewhere. One place that just cannot be excluded when the heritage of Old Delhi is being discussed is the Lal Qila, or Red Fort. When Shah Jahan’s contribution to Mughal architecture is mentioned, the Taj Mahal always is the first name taken, and rightly so. But to see the Red Fort will give you an idea about how much more Shah Jahan could do. Although certain areas of the fort are closed off to civilians, the worthwhile places are still available for all to see. 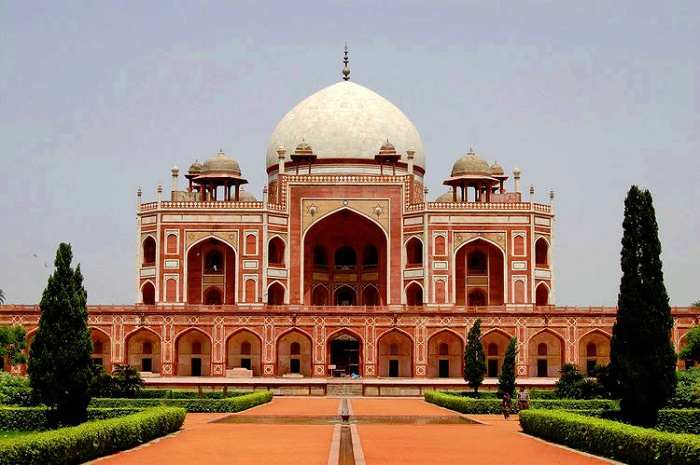 The first example of the extent that Mughal architecture could reach, Humayun’s Tomb was commissioned to be built by his widow and mother to Emperor Akbar, Hamida Banu Begam. Countless other members of the Mughal family are also buried in these gardens. A fine specimen of Persian styles of architecture, this mausoleum served as the inspiration for the famed Taj Mahal in Agra. It can be quite redundant to take on a heritage walk in Old Delhi and not visit the Jama Masjid, which also happens to be the largest mosque in India. Like the Red Fort, this mosque was also commissioned by Shah Jahan and is a great place to experience the local atmosphere. There you have it! These are the places in Old Delhi that should be part of every heritage walk. Make sure with the operator if they are going to include them or not.